“Give a colony of garden ants a week and a pile of dirt, and they’ll transform it into an underground edifice about the height of a skyscraper in an ant-scaled city. Without a blueprint or a leader, thousands of insects moving specks of dirt create a complex, sponge-like structure with parallel levels connected by a network of tunnels. Some ant species even build living structures out of their bodies… It turns out that ants perform these complex tasks by obeying a few simple rules… The organization of insect societies is a marquee example of a complex decentralized system that arises from the [local] interactions of many individuals” (Singer, 2014). Eusociality is the highest level of organization of animal sociality, existing in certain insects, crustaceans and possibly mammals. In E.O. Wilson’s book, “The Social Conquest of the Earth” (2012), he refers to humans as a species of eusocial ape and supports his reasoning by stating our eusocial similarities to ants. Humans also fall under Wilson’s original criteria of eusociality (division of labor, overlapping generations, and cooperative care of young including ones that are not their own). 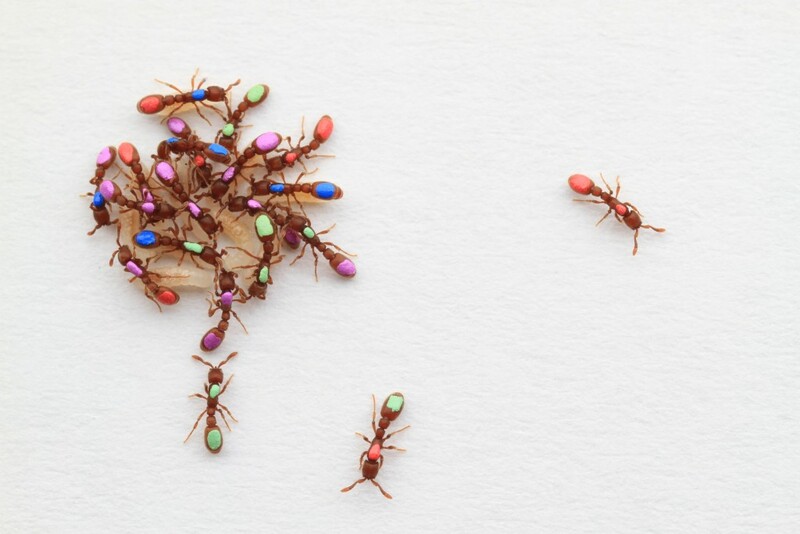 Through cooperation and teamwork, ants and humans gain a type of “superpower” that is unavailable to other social animals that have failed to make the leap from social to eusocial. Eusociality creates the superorganism. It is helpful to think of a knowledge community as a type of eusocial learning environment. As opposed to students competitively hoarding knowledge and striving for individual growth (only), students would instead take collective responsibility for sustained, collaborative knowledge advancement (Zhang et al., 2009). Recognizing that their own ideas can be continually improved, these ideas would be treated as accessible knowledge objects that can be shared, examined, improved, synthesized and used as “thinking devices” by the greater community. In a eusocial learning environment, students would generate cultural capital by continually refining and improving their community knowledge space, and developing shared artifacts that represent the products of their collective work.